Witnessing turtles mating might not be so much of an exciting encounter for frequent divers. 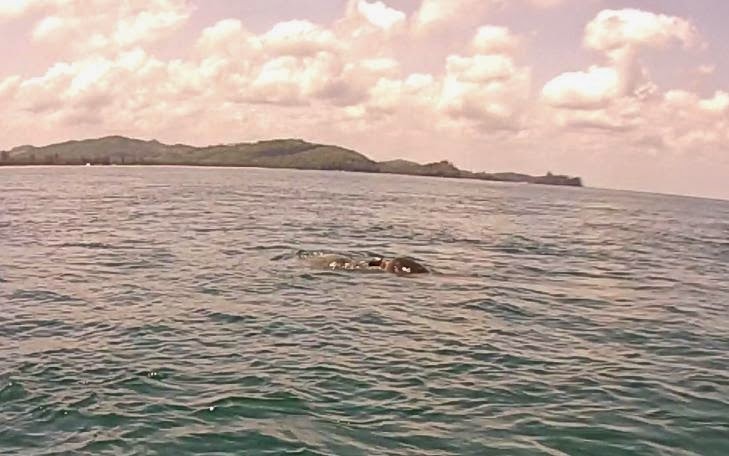 But it was hilarious indeed to bump into a pair of turtles when they are mating in the middle of the ocean. They split up when the boat got near. One of them swam right off, dived down and disappeared. I wonder if the mating was successful @. @?